Voice-Acoustic has launched its new Paveosub-115/115sp. Reportedly, it is the world's lowest 15" subwoofer. With its low overall height of only 36cm and a width and depth of only 54cm x 57cm, the bass is ideal for fixed installations where a discreet appearance is required, and the loudspeakers need to be integrated into the architecture as discreetly as possible. The sub can be used flat or upright. Feet and M20 flanges are provided on two sides. In mobile use, the bass saves a lot of space and weight with a transport volume of only 110 liters. A removable and stackable front wheel board is available as an accessory for easy handling of the subwoofer, which weighs only 27kg. The optional transport cover also serves as weather protection for outdoor events. The Paveosub-115 uses a newly developed neodymium chassis with 4" voice coil and a high-power handling capacity of 1,000W AES. The magnet system has three demodulation rings for particularly low distortion. Massive cooling fins ensure low power compression at maximum performance. Together with a high linear excursion and a low moving mass, the subwoofer offers deep, powerful, and at the same time very precise low-frequency reproduction. The self-powered version has an integrated three-channel 4,000W amplifier, which can feed a second slave subwoofer with a powerful 2,400W channel and stereo tops with the free two by 800W channels. The newly developed self-powered DDA version includes delays up to 275m, IIR and FIR filters and a wide selection of signal inputs such as DANTE, AES/EBU, AES67, and analog signals. 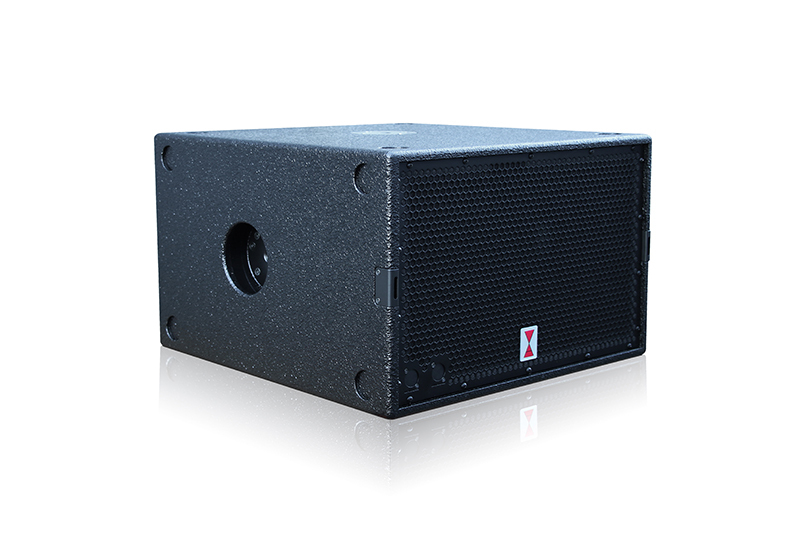 The Paveosub-115sp can also be networked with other self-powered loudspeakers or Voice-Acoustic system amplifiers via its own remote software. A built-in Ethernet switch makes it easy to daisy-chain a remote network.